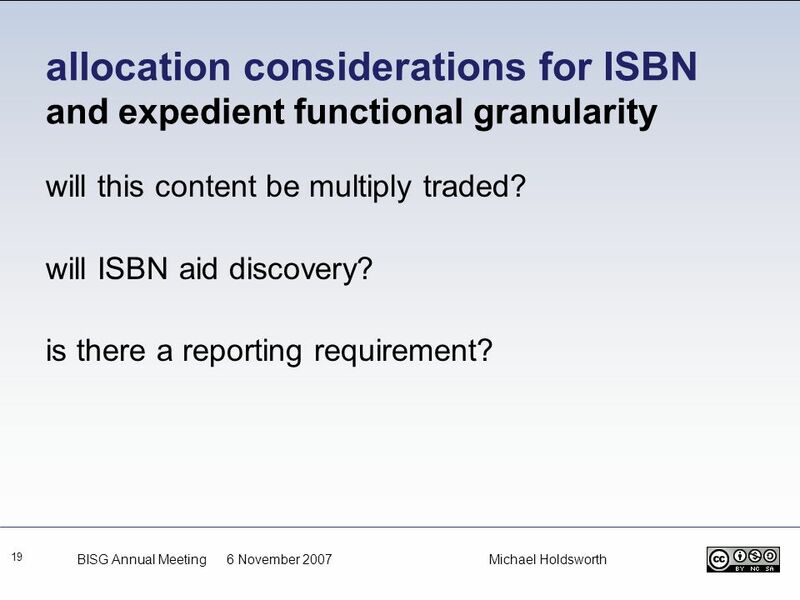 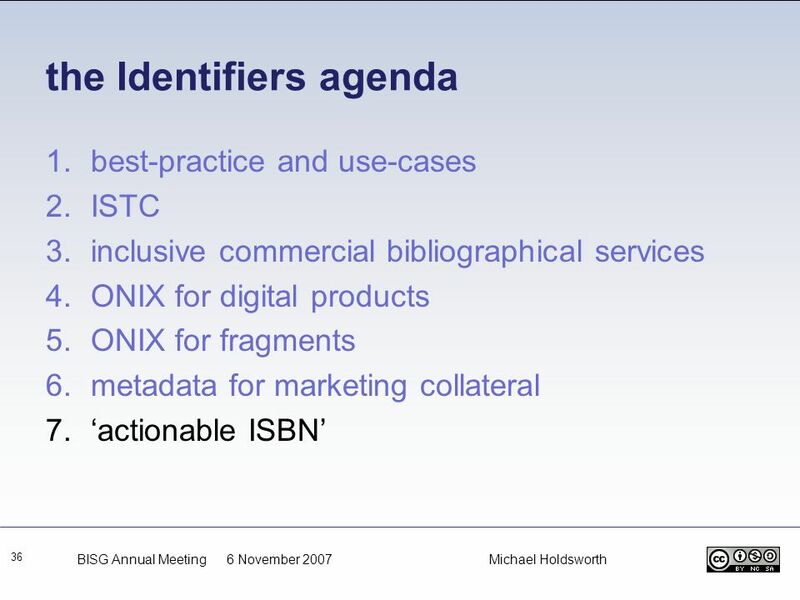 Identifying, discovering and trading digital publications: challenges for the book industry Michael Holdsworth BISG Annual Meeting 6 November 2007. 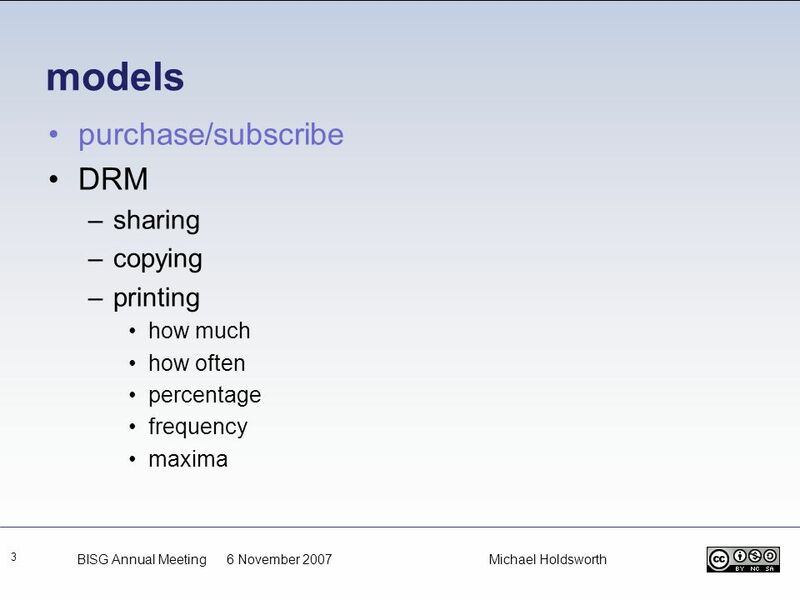 8 models purchase or subscribe? 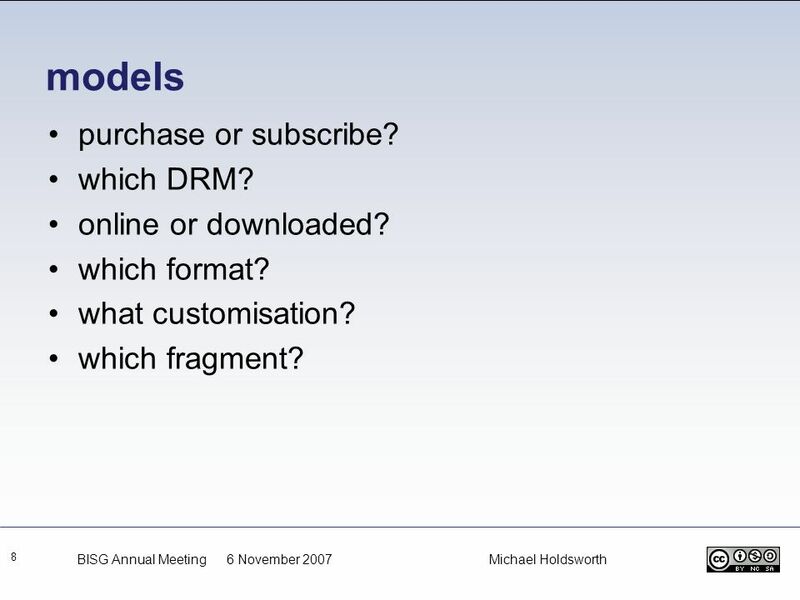 which DRM? 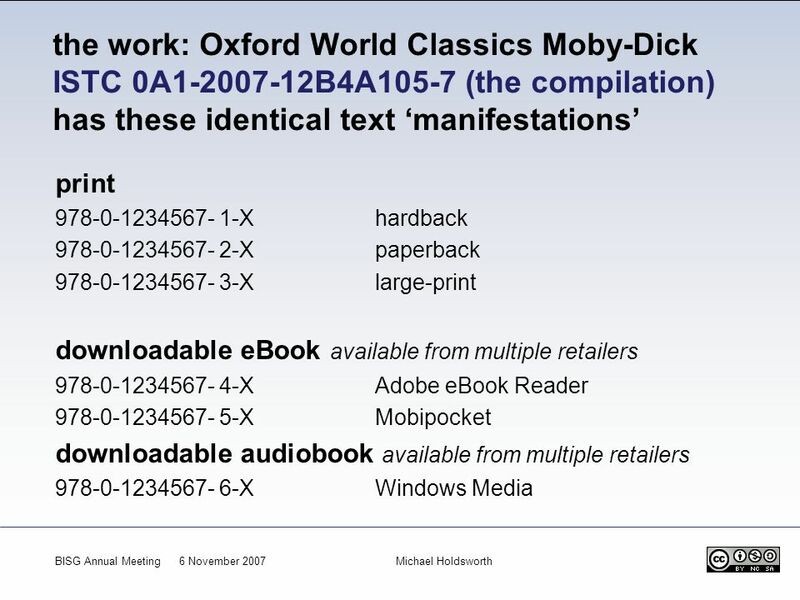 online or downloaded? 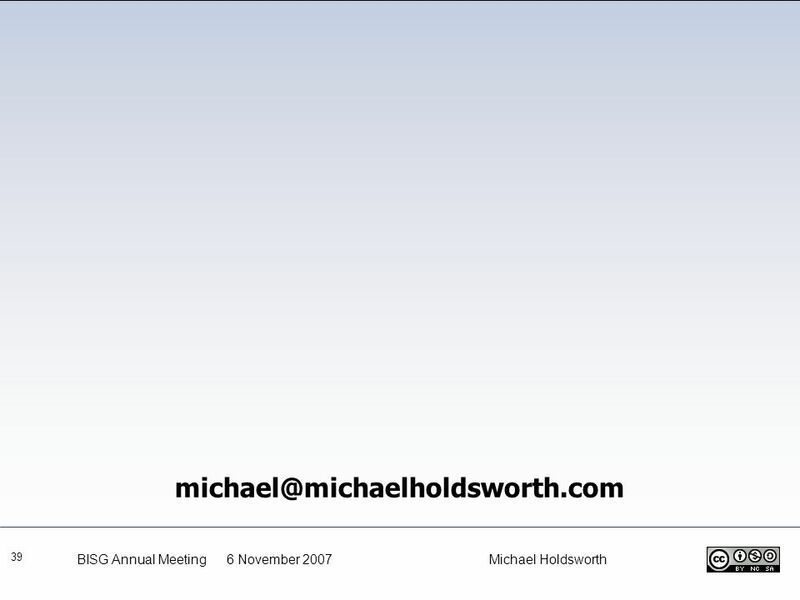 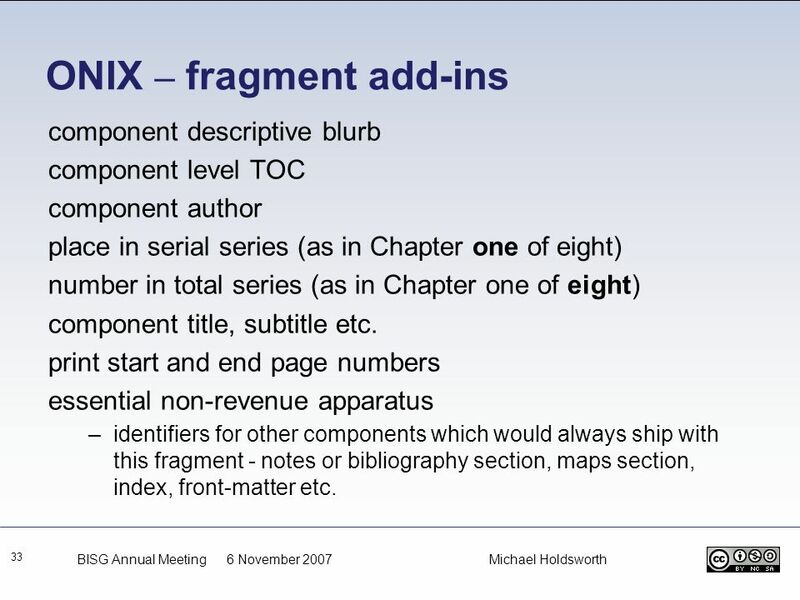 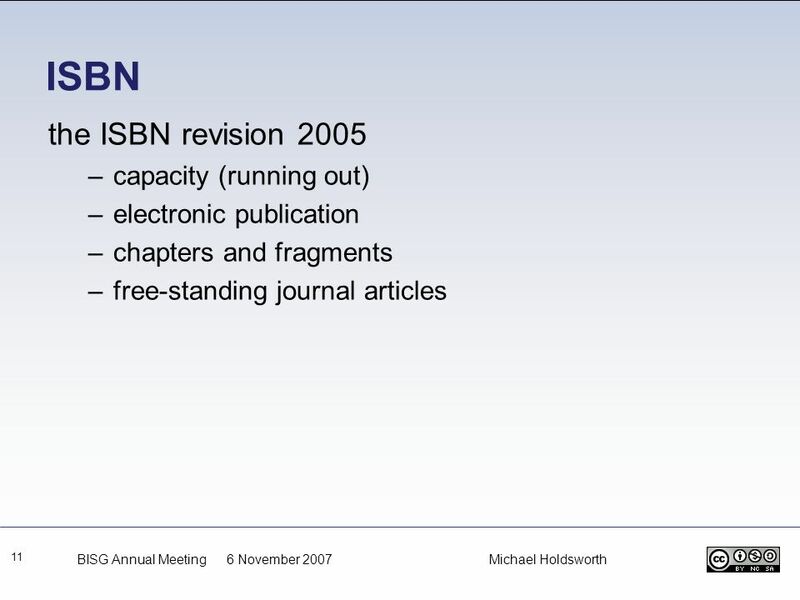 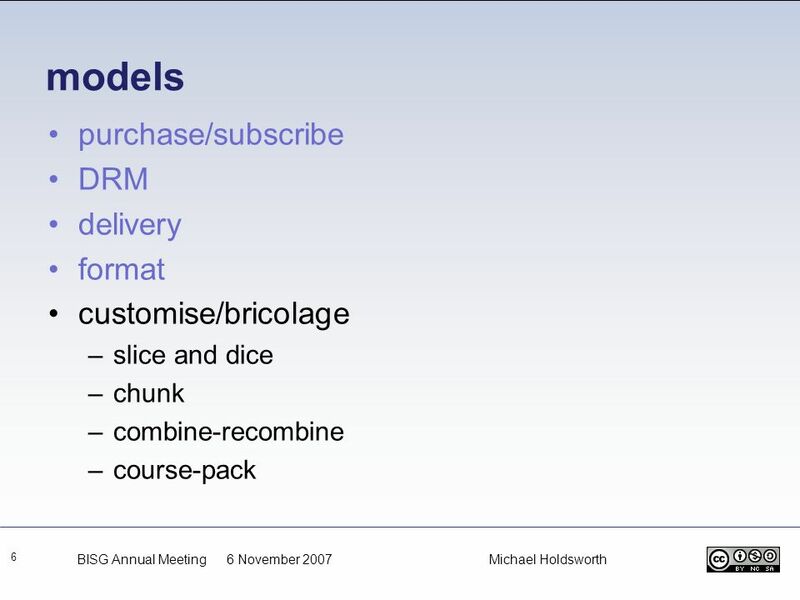 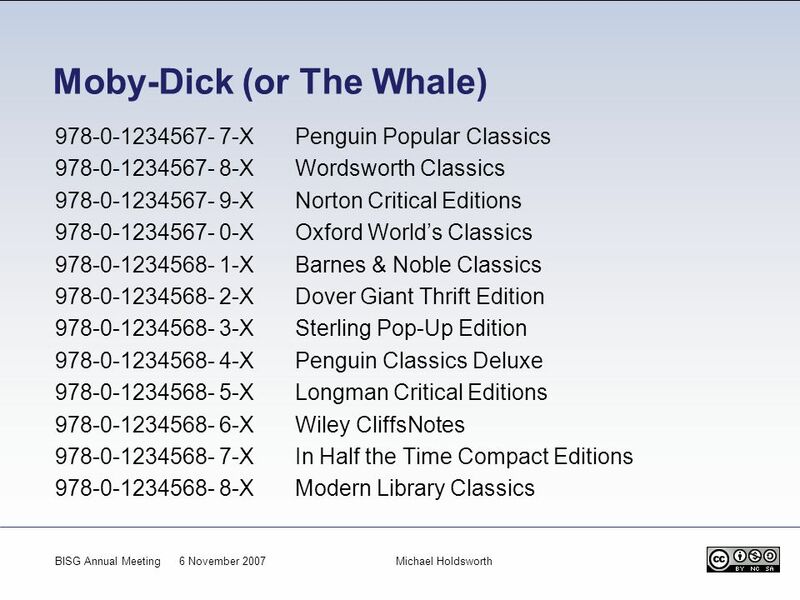 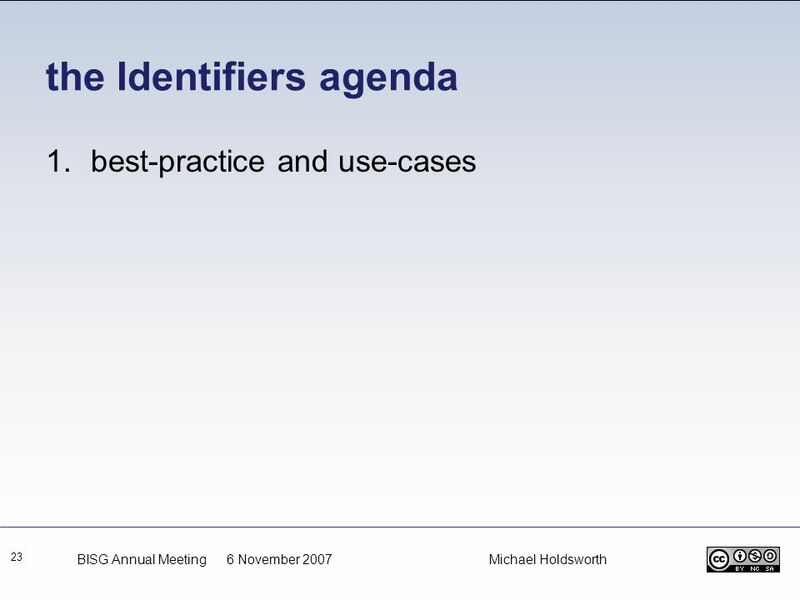 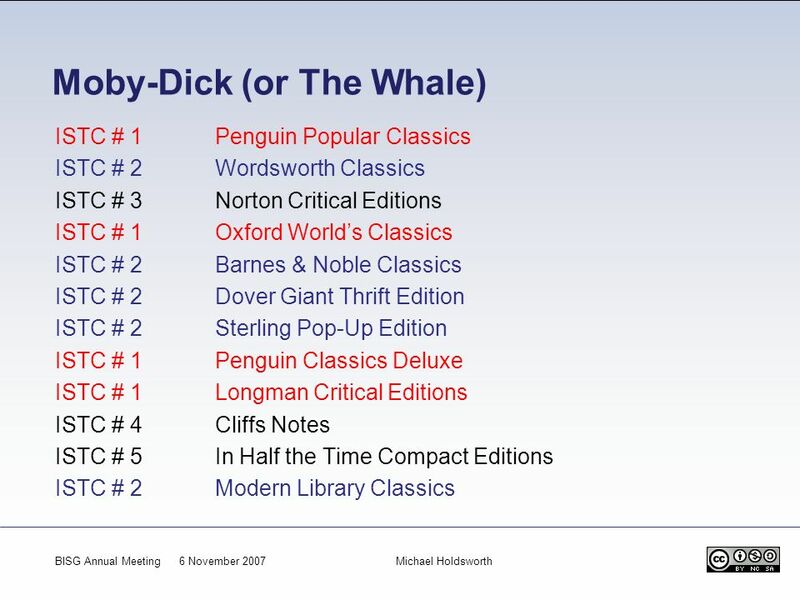 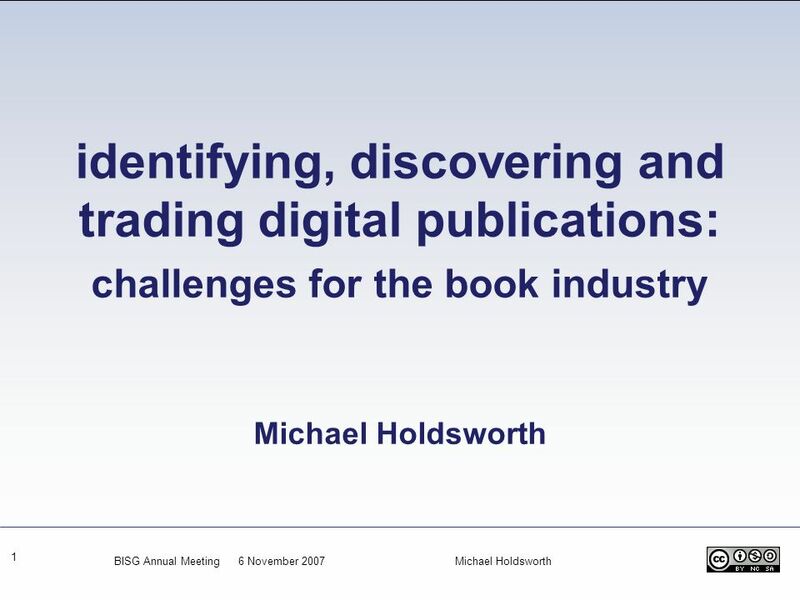 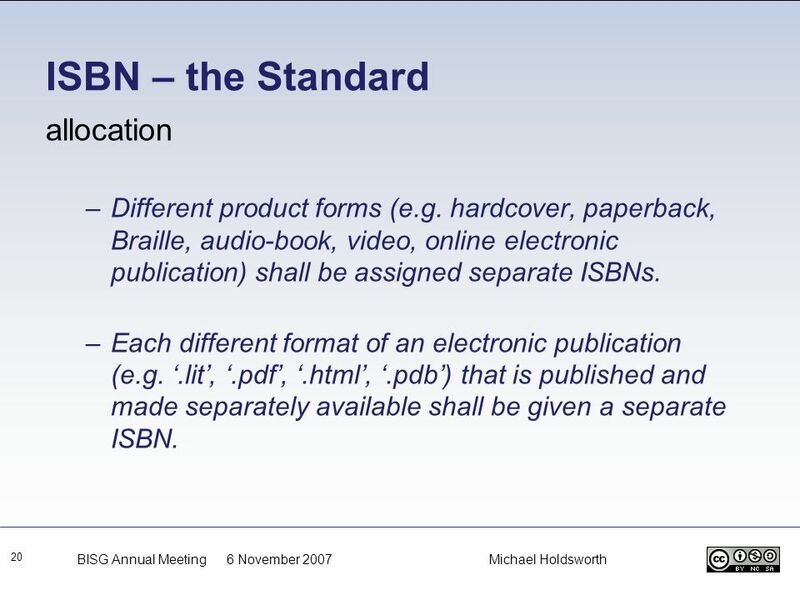 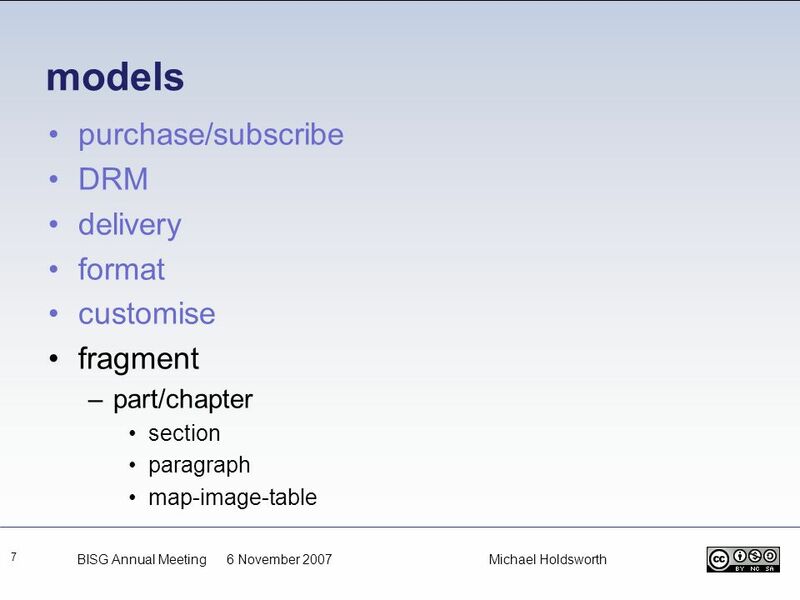 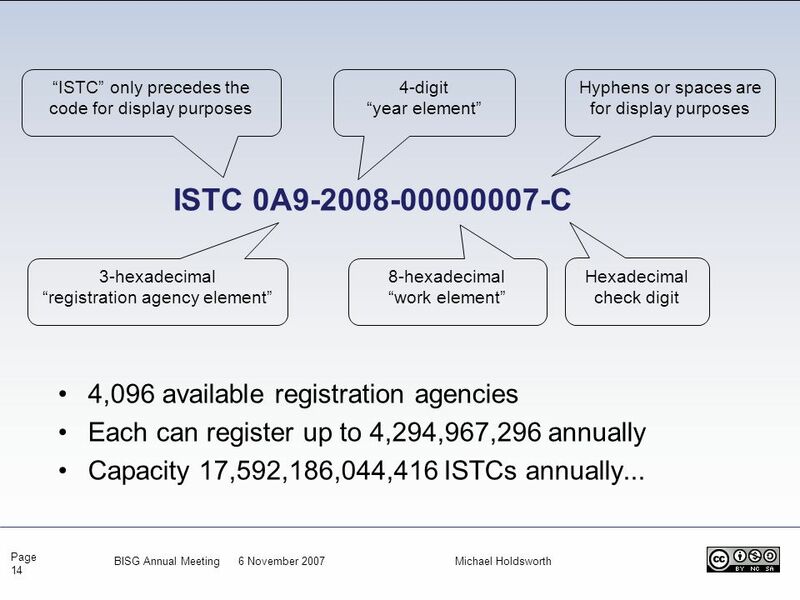 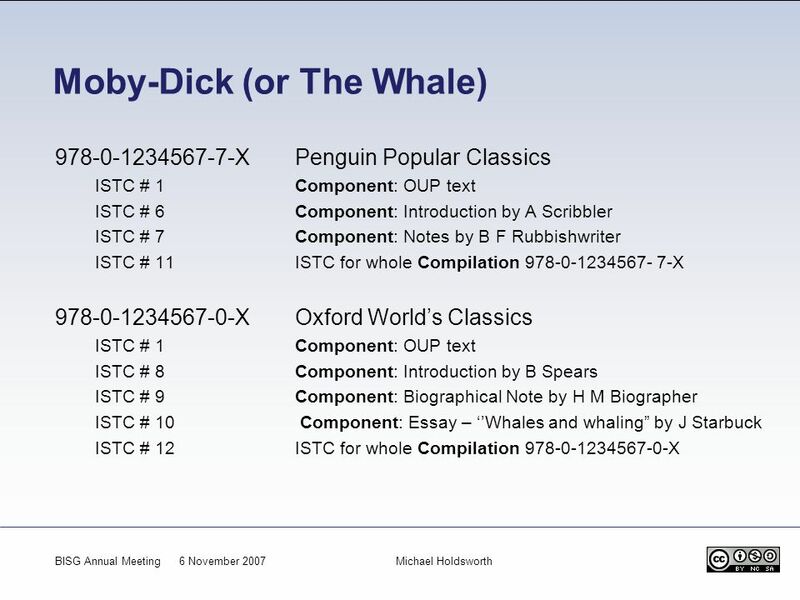 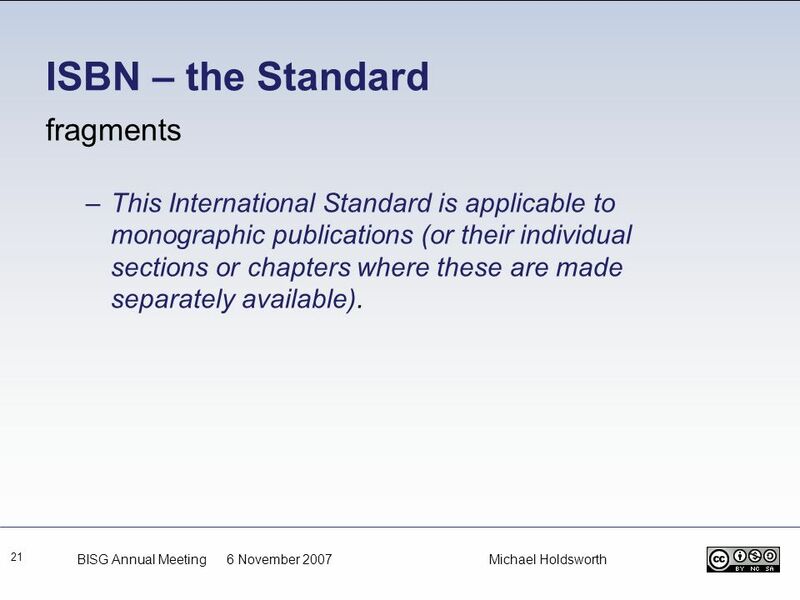 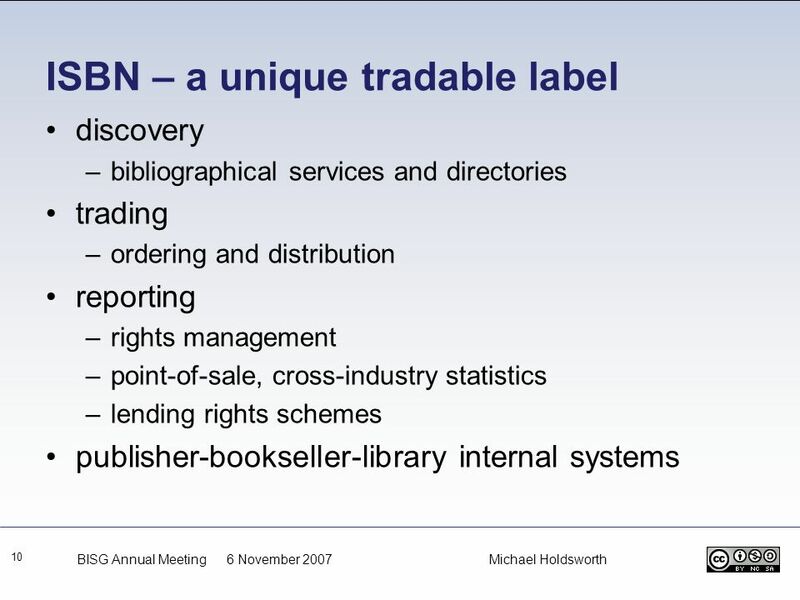 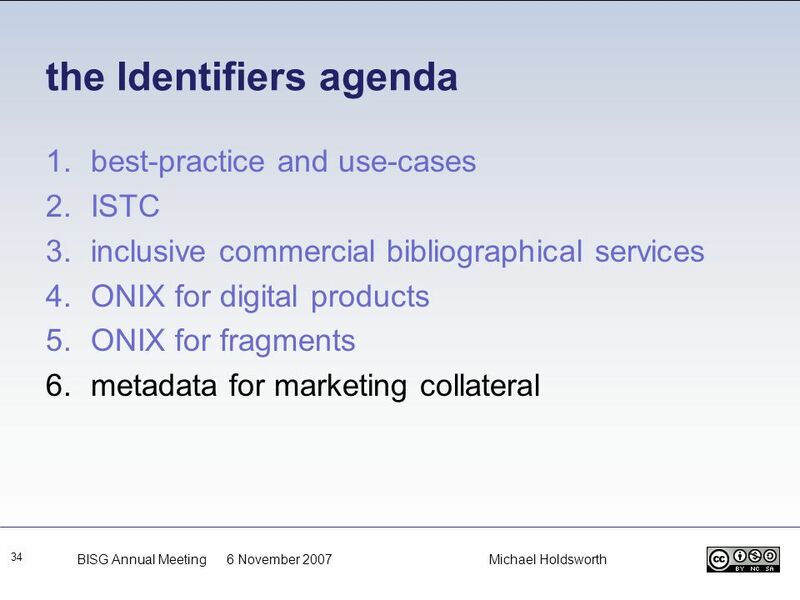 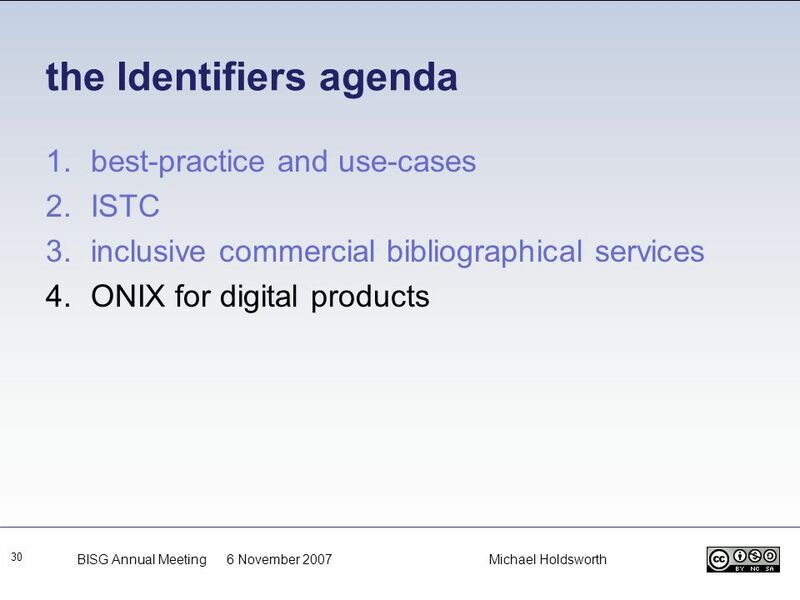 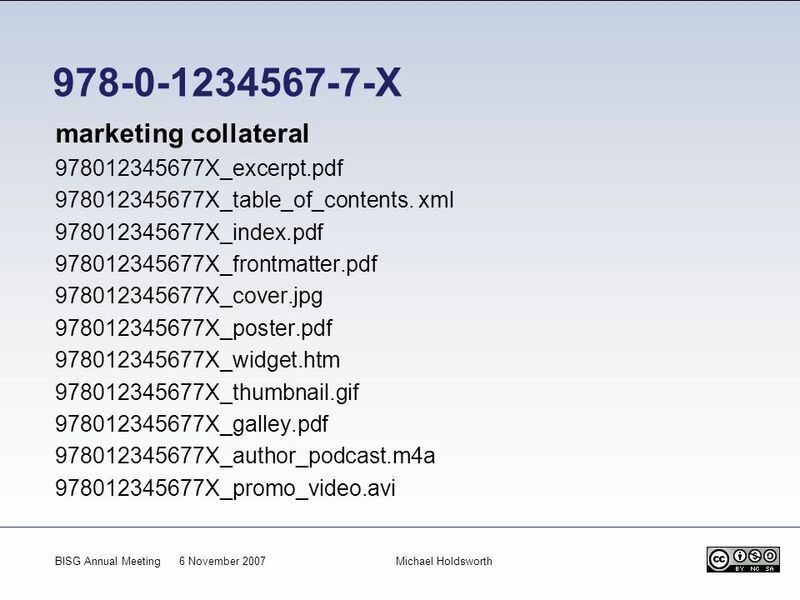 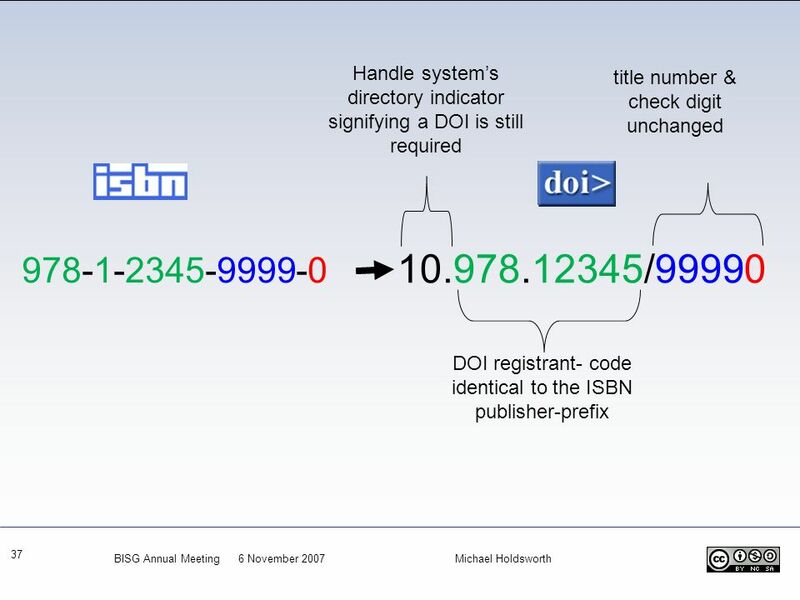 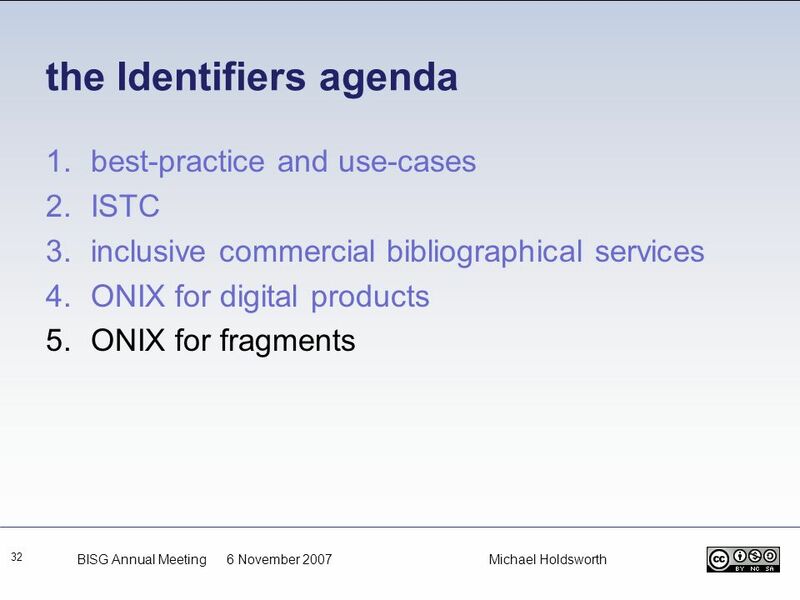 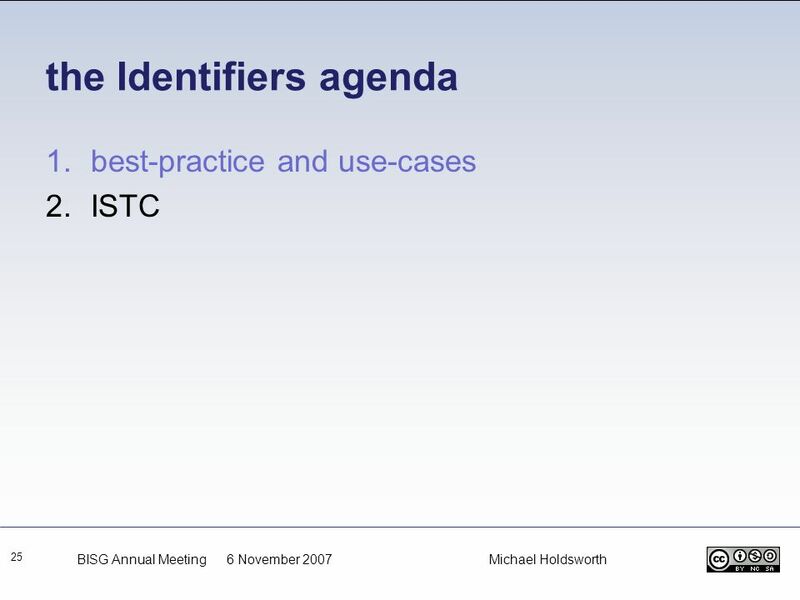 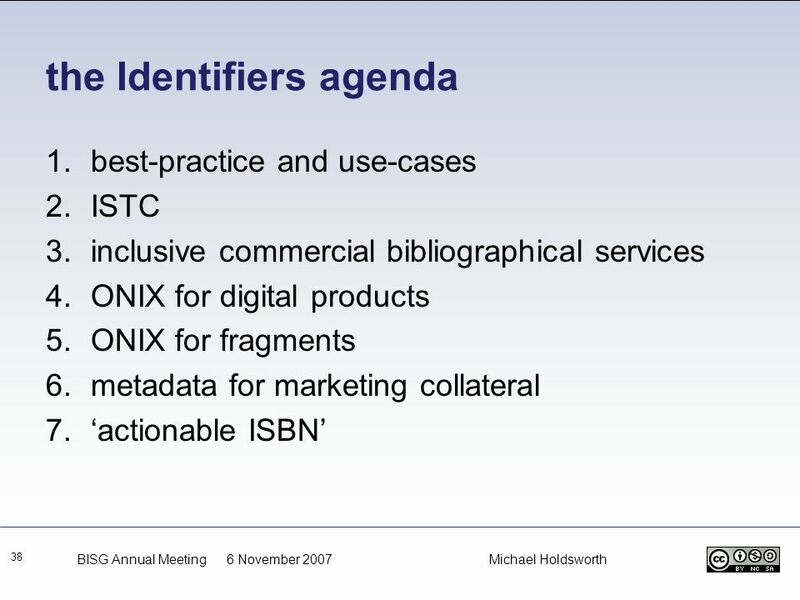 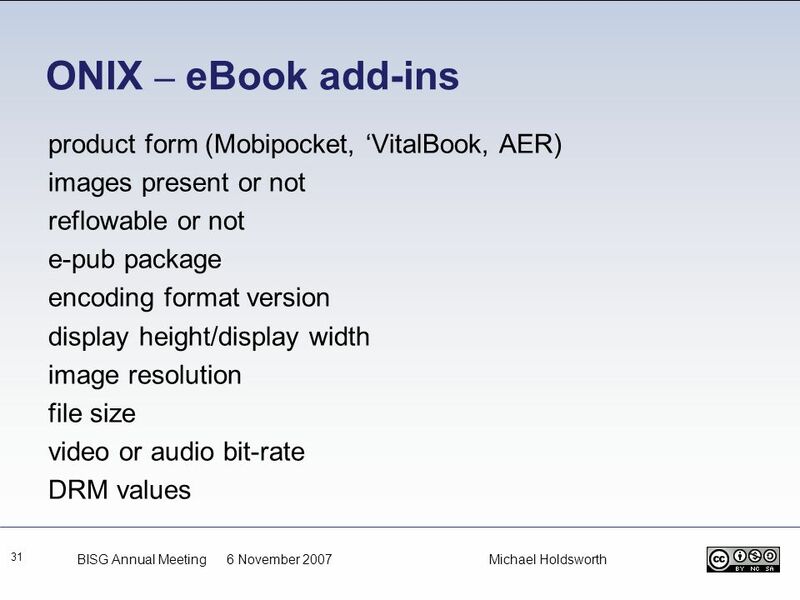 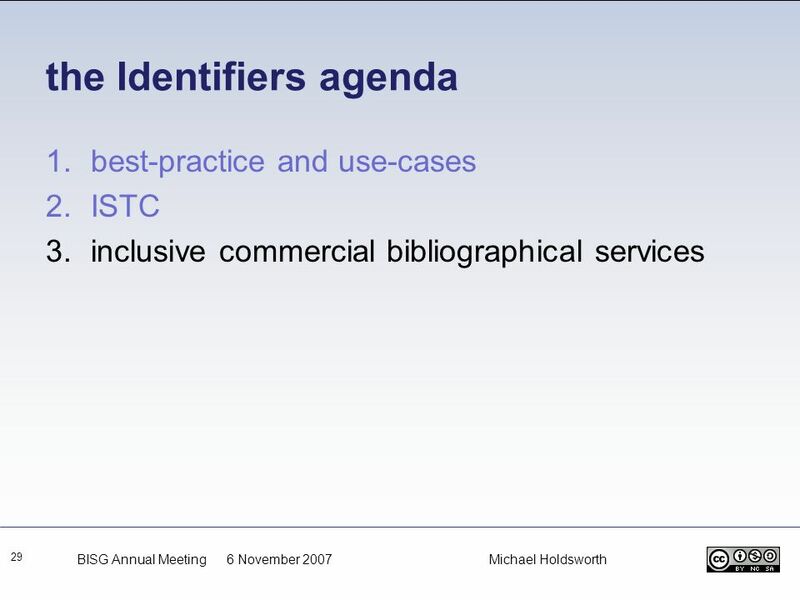 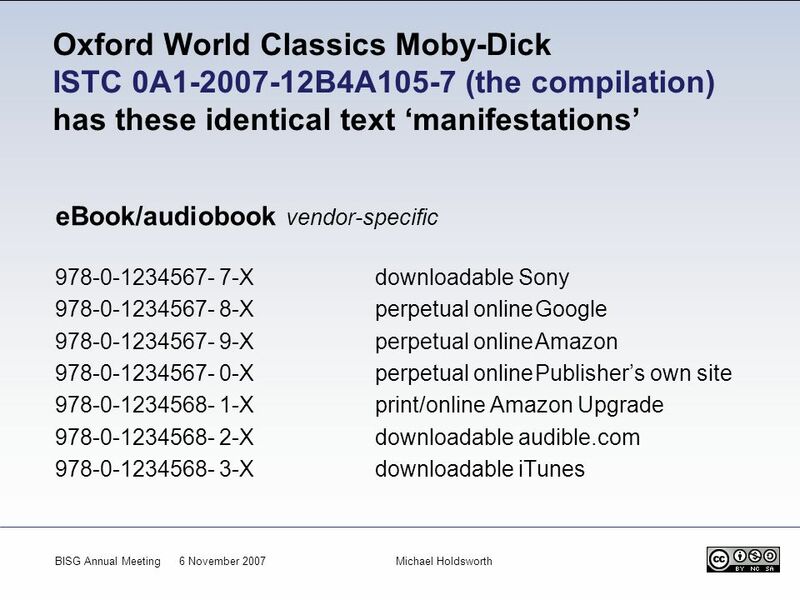 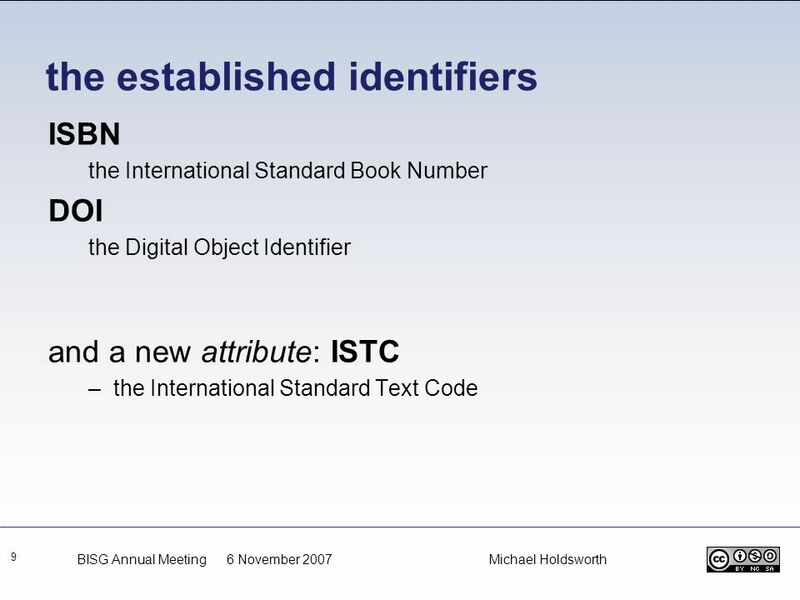 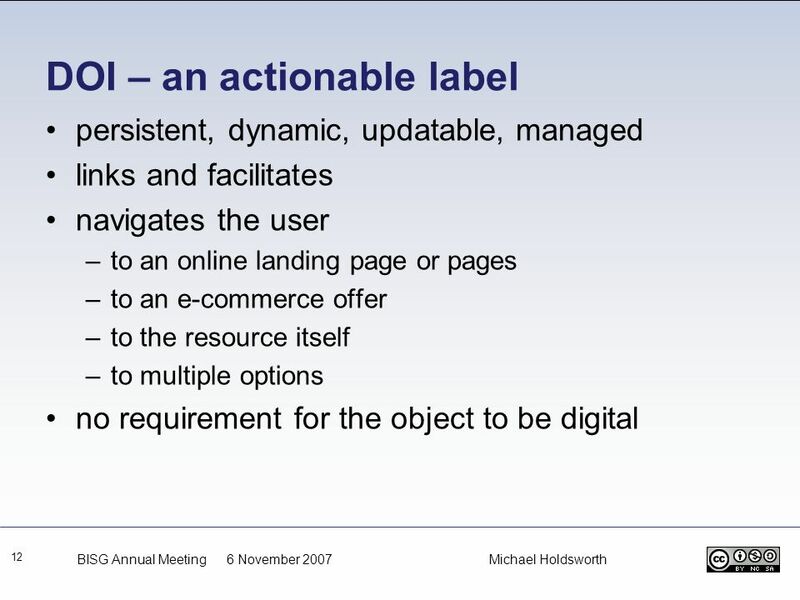 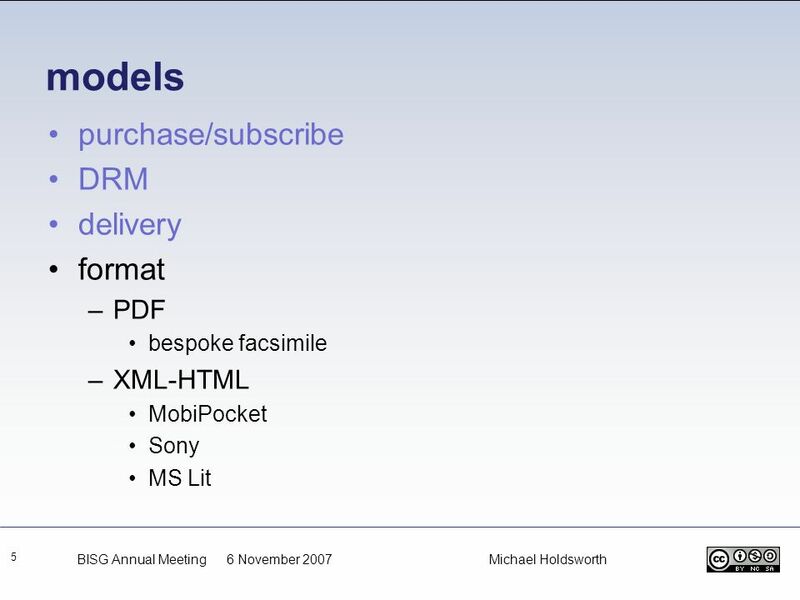 Download ppt "Identifying, discovering and trading digital publications: challenges for the book industry Michael Holdsworth BISG Annual Meeting 6 November 2007." 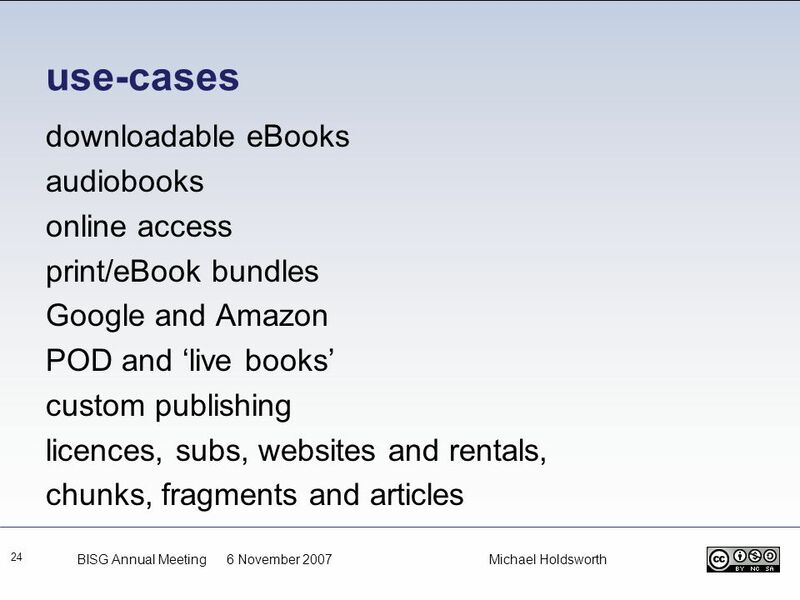 1 Digital Media Distribution Channels ©OverDrive, Inc DRM Challenges in Digital Media Distribution Channels Steve Potash May.